There are nearly 30 Starbucks in the city of Kyoto, but only one of them has a doorman. Admittedly, it is the prettiest one — the Starbucks that is. 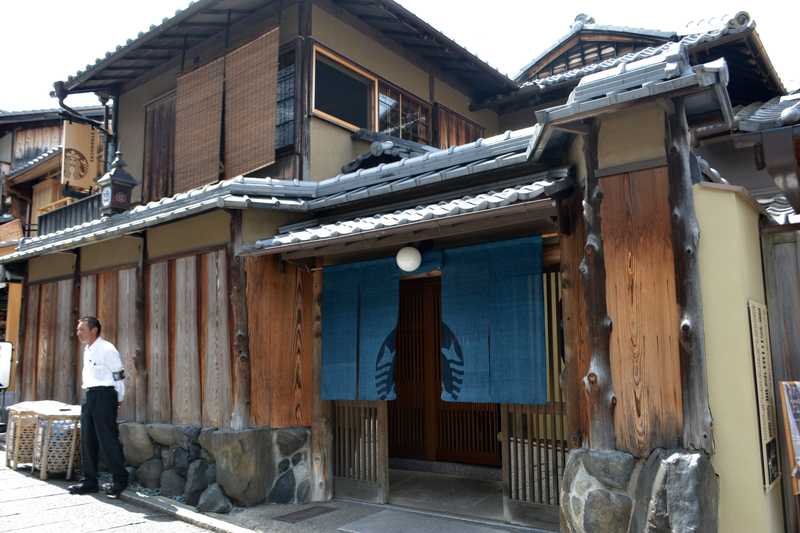 The Nineizaka Starbucks opened to much media fanfare back in June, partly because of its location on the tourist-trodden cobbled lanes approaching Kyomizu Temple, and also because this novel Starbucks positioned itself inside a converted machiya — the traditional wooden house that can be found all over Kyoto. The doorman, like doormen the world over, looks as if he doesn’t want to be there, or perhaps he doesn’t want you to be there. He has his work cut out for him. While I loitered nearby he turned away a group of cyclists who wanted to park their bikes outside while they dashed in to grab something to go. 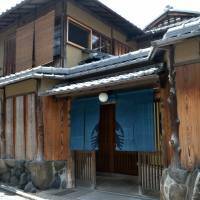 Most customers, I imagine, want to stay a while and soak in the old-world machiya atmosphere while sipping frappuccinos and putting the experience on Instagram. On the day I visited, there were more tourists dressed up in kimonos than not. Inside the cafe, a one-way system is in operation: You order at the front, pick your drinks up at the back, by the interior garden, and climb a narrow staircase to a mixture of floor seating and tables and chairs. Some of the original artwork is well curated, but overall there’s no escaping that this is a Starbucks first, and a machiya second.